YA Friday: Happy Galentine's Day! It’s that time of year, friends. The time when we ladies and feminine types gather together and celebrate one another for Galentine’s Day. Ladies celebrating ladies—it’s the best day of the year! 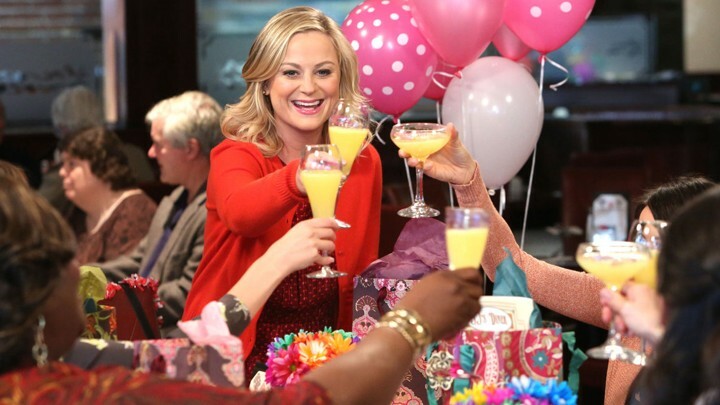 February 13 marks one of the best holidays ever created by a TV character: Galentine’s Day (via Leslie Knope of Parks and Recreation), which celebrates girl-friendship. Basically, it's like Valentine's Day, only instead of celebrating the love you have for your significant other, you spend it with your best girlfriends, who are, after all, your soul mates, and therefore deserve a holiday all to themselves, too. Since the episode aired in 2010, it's become just as big a deal as its Valentine's Day counterpart. Leslie chooses to observe the day of lady love with brunch (her other true love), but you can kick it back lady-style however you want. I choose books. The importance of seeing women supporting other women, celebrating other women, loving other women as a pre-teen, teenager and even as an adult cannot be overstated. If reading fiction teaches us empathy, surely reading fictional female friendships has taught us that the sisterhood should be a real, vibrant, and meaningful aspect of our lives. 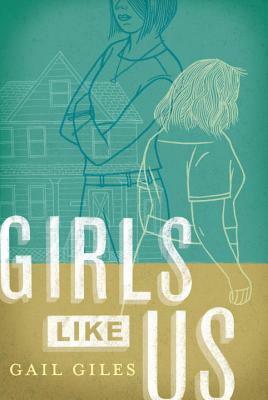 With the "holiday" coming up, I came up with a list of YA books below, both old and new, that depict strong female friendships: some silly, some serious, some life-changing. Who cares that the prize for the Sun City Originals contest is fifteen grand? Not Dia, that's for sure. Because Dia knows that without a band, she hasn't got a shot at winning. Because ever since Hanna's drinking took over her life, Dia and Jules haven't been in her life. And because ever since Hanna left--well, there hasn't been a band. It used to be the three of them, Dia, Jules, and Hanna, messing around and making music and planning for the future. But that was then, and this is now--and now means a baby, a failed relationship, a stint in rehab, all kinds of off beats that have interrupted the rhythm of their friendship. But like the lyrics of a song you used to play on repeat, there's no forgetting a best friend. And for Dia, Jules, and Hanna, this impossible challenge--to ignore the past, in order to jump start the future--will only become possible if they finally make peace with the girls they once were, and the girls they are finally letting themselves be. Type A Hannah and bipolar Zoe have been inseparable friends since they were 10. Hannah is known around their New Jersey lakeside town as "the hot dog girl" since her alcoholic weatherman father refuses to pay for college, forcing her to earn money "selling meat in the shape of a phallus to predatory commuters on the way to the city"—she's accustomed to putting her own needs last. But all of that is about to change. In episodic chapters characterized by frank dialogue and Hannah's biting wit, Zoe's depression turns to mania, and faithful Hannah rides across the country with free-spirited Zoe as she chases the weather. While Hannah helps Zoe work through the episode, Zoe gives Hannah "intangible lessons" in insouciance, audacity, betrayal, destiny, luck, and how to live and feel. And while Hannah starts to try out these new feelings on longtime crush Danny, the real love here is between Hannah and Zoe. Camila "Mila" Flores's best friend, Riley, has just died. The police ruled it a suicide, but Mila knows that Riley would not kill herself. While at the abandoned house that she and Riley used to practice witchcraft, a grimoire that contains a spell that can raise the dead is delivered. Mila decides to use the spell to discover the truth. However, instead of bringing only Riley back, she inadvertently brings back two other girls with her—June and Dayton, who also seemingly committed suicide just a day before Riley. This undead girl gang can't remember how they died, let alone if they committed suicide or were murdered, but they have seven days to figure it out before they die again for good. Mila struggles with the consequences of what she has done, especially when Xander, Riley's older brother and the boy she's been in love with for years, seems to be reciprocating her feelings. The girls cast spells and haunt their past lives in an effort to uncover what happened. With time running out and a coven of witches after them, the truth is revealed with frightening consequences. After crash-landing in France in 1943 and being captured by Nazis, a female wireless operator for the British (who goes by Queenie, Eva, Verity, and various other aliases) reveals bits of code in exchange for reprieve from torture...and to postpone her execution. But her story is more than a listing of wireless codes or aircraft types. Instead, she describes her friendship with Maddie, the pilot who flew them to France, as well as the real details of the British War Effort: the breaking down of class barriers, the opportunities, the fears and victories not only of war but of daily life. Ava and Gen are best friends whose relationship defines the maxim that opposites attract. Ava, the perfectionist, joins a sorority because she thinks that's what college students should do. She struggles with balancing her social life, anxiety, and class load. Gen is studying journalism and places herself in the thick of things by writing a controversial article as soon as she joins the school paper. She is queer and proud of it, but finds that her relationship with one of her teachers complicates matters. Narrated via texts and emails between the two main characters, this book will appeal to a wide range of teens. Ava and Gen wrestle with mental health issues, relationships, alcohol and drug use, and other typical aspects of college life. Submitted by Megan Maloy on Friday, February 8, 2019 - 9:00 AM.